Jupiter in Sagittarius: When Do We Get to the Good Part? Many of us have been looking forward to the promise and hope of Jupiter's transit through Sagittarius in 2019, as this planet of luck, wisdom, risk, and joy spends time in its home sign of adventure and higher learning. Now that we're a few months into it, join astrologer Amy Alexandro Jones for a Jupiter in Sagittarius check-in. What does this transit mean for us on a deeper level and how can we reap the benefits? In this webinar we'll trace the symbolism of Jupiter’s path out of Scorpio and into Sagittarius and see how it fits within the context of the current nodal axis of Capricorn and Cancer for us as a collective. We’ll examine what Jupiter in Sagittarius means for us personally -- uncovering the hope and good news of the past few months and the time to come. As we make sense of where we’ve been and create meaningful future goals, some Jupiter lessons are constant: The individual ways we’re here to give and receive love; the inspiring breadth of who we already are. We hope you’ll join us. Amy is a Master-level astrologer through Steven Forrest's Apprenticeship Program. Her writing on astrology, parenting, and spirituality has been published in The Mountain Astrologer, Motherwell, and on Astro.com. Amy was first introduced as a teacher in the Fresh Voices in Astrology Summit of 2018. Amy is a graduate of the Fashion Institute of Technology and holds an M.S. from Boston University. As a 9th-house Sagittarius with sun conjunct Mars and Neptune, she's a determined seeker of all that inspires and connects us to greater wholeness and peace. 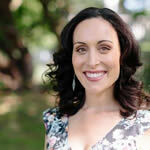 You'll have the option to include Amy's summit lecture on Enlightened Parenting with Astrology in case you missed it!